Many happy, healthy, productive returns Lindsey... Looking forward to what you and Fleetwood Mac have in store this next year! 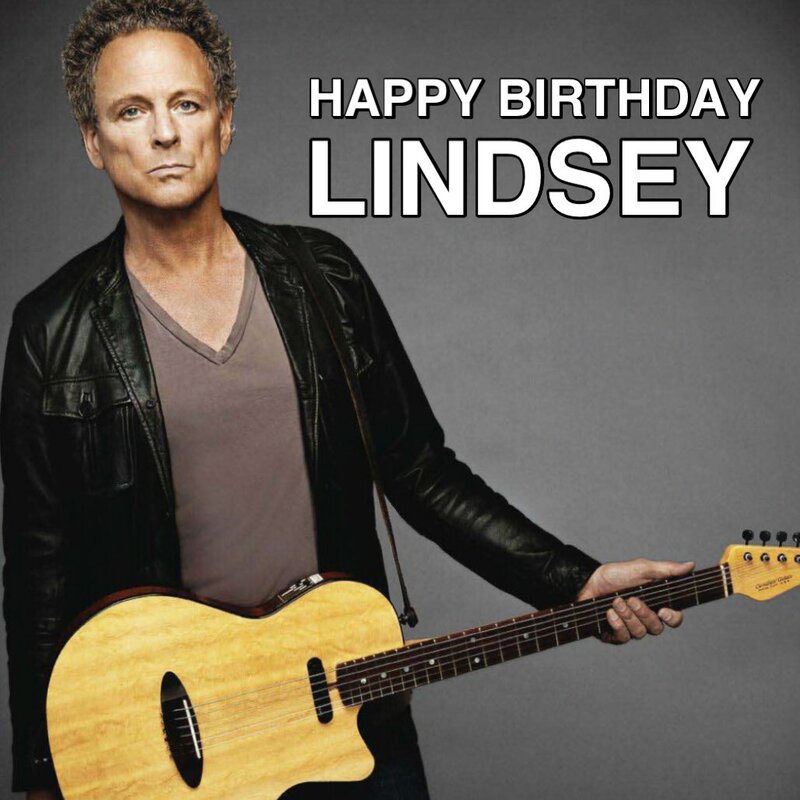 Happy B-day LB Maybe hoping to see you on a small tour Solo like Stevie before the return of Fleetwood mac and can't wait for the new album. Stevie will come forward with some new martial. It will happen. Still devastatingly handsome! Happy Birthday to one of rocks most fantastic musicians ever. Love you Linds. Big fat kisses from your kissy fans. Still waiting for the small machine to turn again but for now, happy birthday!